Tetra is one of qualified goldfish food brand and has been pioneered the development of flake fish foods. TetraColor Sinking Goldfish Granules is goldfish granules food product from Tetra. 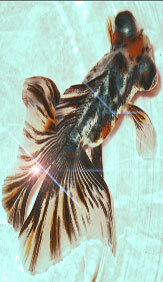 This is a great staple goldfish that bring out the striking, beautiful colors of your goldfish. This diet enhancer is the perfect supplement to your goldfish‘s primary diet. 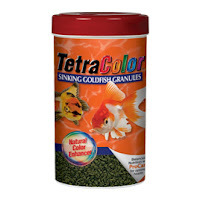 When you choose TetraColor for feeding goldfish, you have been provide best food for goldfish. The granules are sized for all types of goldfish and contain Spirulinamaxima Algae for the development of vibrant colors. Blended with patented ProCare for optimal health and they will like it. Contain Spirulinamaxima Algae for vibrant colors. Granules are sized for all types of goldfish. Product available in 3.52 oz can.